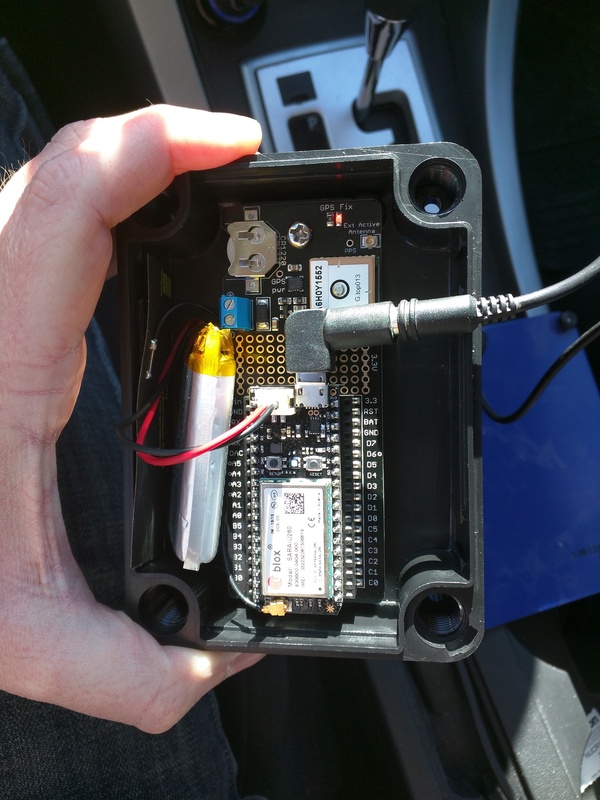 Thefts are what drive me to make this GPS tracker. I myself have a cheep daily driver like most college students I own a Honda civic from the 90s. It gets the job done, but the security system is poor at best. Any idiot with a screw driver and enough determination can get in and get it started within minutes. Once that happens it is gone, on to be made in to someones E-Bay part-out job. For most people a security system would be enough, but once a thief cuts the wires on the horn your car is going to be gone. I want to catch the thief not just run him off or give him a car. That is when I thought of taking a mobile GPS tracker and set it up to track the car at all times and allow me to track the location of the my car at the push of a button. Once the above components arrived I wanted to get started constructing the actual asset tracker kit, but before I could do that I needed to set up the data plan that the Wireless sims card runs on. This process is completed on the particle.io website at this >>link<<. Early hang up that I though was the end of my project until i found a soldering iron. Particle Electron mounted on Tracker Shield with battery. After getting my hardware setup I as shown in Figure 2 below I moved over to getting an understanding of the code for the project. I used a sample code found in the particle libraries to get started. Once it was flashed onto the Electron the Tracker Shield began to search for a GPS fix. Once the Tracker Shield received a GPS fix on my window seal it began to broadcast the latitude and longitude coordinates to the dashboard on particle.io every 10 minutes (changeable in the code to save data). Figure 2. my setup in waterproof clear box. Start a new recipe in the IFTTT App. Scroll to and select Particle. Tap the "New event published" button. Leave the Event Contents blank. Select the Electron for the Device, then tap Next. Now tap the "then+" button to tell IFTTT what to do with the event info. Scroll to ant tap your desired data logging option. I picked Google Drive, so that all of the GPS coordinates would be saved in a spreadsheet. Below are my before and after photos of the dashboard data and the data on the spreadsheet. At this point I decided I wanted to check where car is at a a given point without waiting 10 minutes ( or maybe hours if you have the setting set for that high of a delay to save data). To do this I made a single click button on my phone to have a gps fix sent to my phone using the Do button app. This app is very similar to the IFTTT app and uses the same basic guide lines. This will allow some one to walk out of say a concert or a large event and find their cars location in a large parking lot. This project is pretty straight forward task, but i am currently working on powering it in a car and replacing the small antenna with a larger one for the cell signal and also one to extend the gps Reach. reading the battery level, and manually requesting a GPS reading. // Short publish names save data!